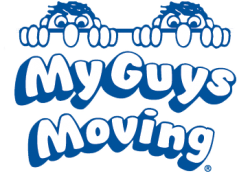 Know exactly what you’re moving? Complete a Guaranteed Price Request for a fixed price on your move. If you’ve just sold your home, there’s no doubt you’re excited to get moving into your new home soon. That’s probably also true of the people who bought your house as well. The best way to accommodate both parties is to make sure you’re ready for the house to be sold before you sign the paperwork. Once the ink is dry on the sale, the home technically belongs to whoever bought it. In most cases, people are happy to give you ample time to move out, but wouldn’t it be nice to be ready to go with a plan of action as soon as the house is sold? We think so, that’s why we created this list of things you can do to make sure you’re ready to move out as soon as possible. Selling your old home is exciting, especially if it means you get to upgrade to a larger home or nicer neighborhood. In fact, it’s so exciting that people often get distracted and forget things in their old home. Make sure that, before you lock up the truck, you take a walk through every room of your now empty home and make sure you have all you need and that you’re not leaving a mess or personal items for the new homeowners. Usually, with the sale of a home comes an itemized list of any items/appliances that the new owners get to keep. Generally speaking, anything that is connected to the ceiling or wall, like fans or blinds, is included with the house. However, you should consider talking to the new homeowners and seeing if they would like to hang on to any extra items that you won’t be taking to the new home. This may include some furniture, landscaping and yard-care items, or items for children that your kids have outgrown. You may also want to discuss the transferring of certain address-specific services, such as alarm monitoring, with the new buyers. Once you’ve decided what stays and what goes, cleaning up will be easy. Sweep, vacuum, wipe down counter tops and drawers and give the entire home a good once-over. Pay close attention to the kitchen and bathrooms, as these are the least desirable rooms to have to clean after just moving into a new home. Now that the house is clean and empty, everybody can get a fresh start. Last but not least, make sure you’ve forwarded the mail and leave the keys on the counter. With any luck, someone left the new home in the same condition that you’ve just left your old one.